Proof-of-stake is a method of securing a cryptocurrency network and achieving distributed consensus through requesting users to show ownership of a certain amount of currency. It is different from proof-of-work systems that run difficult hashing algorithms to validate electronic transactions. 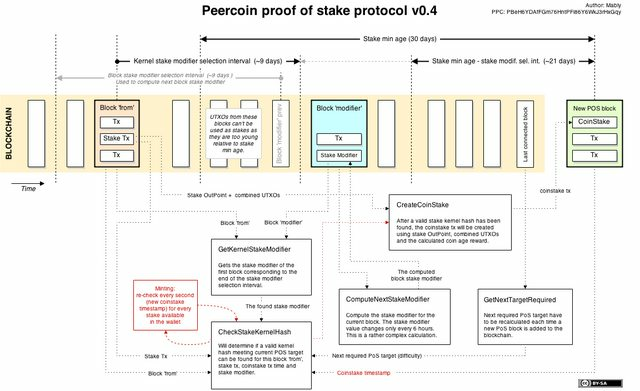 Peercoin was the first cryptocurrency to launch using Proof-of-Stake. When a person with large computing power and a person with a large stake both compete to generate a new block who wins? PoS wins, detailed answer here. This page was last modified on 9 May 2015, at 23:45.